Raising Money for the Kitties! Millie and Perry burn some serious calories off in a post-lunch rumble. That sweet, little Millie seems quite capable of holding her own with her bigger siblings! Yeah, attagirl! Tiniest kitten WINS! Get him, Millie! You've got him down, now BITE him! His weight advantage is nothing compared with your guile, craftiness and lightning speed. You're floating like a butterfly -- you're Muhammad Ali. Perry is a big slow guy throwing haymakers like George Foreman -- too many doughnuts! If he connects, it's gonna hurt, but we both know you're not going to let THAT happen. You go, Girl! Perry the Vampire strikes again! 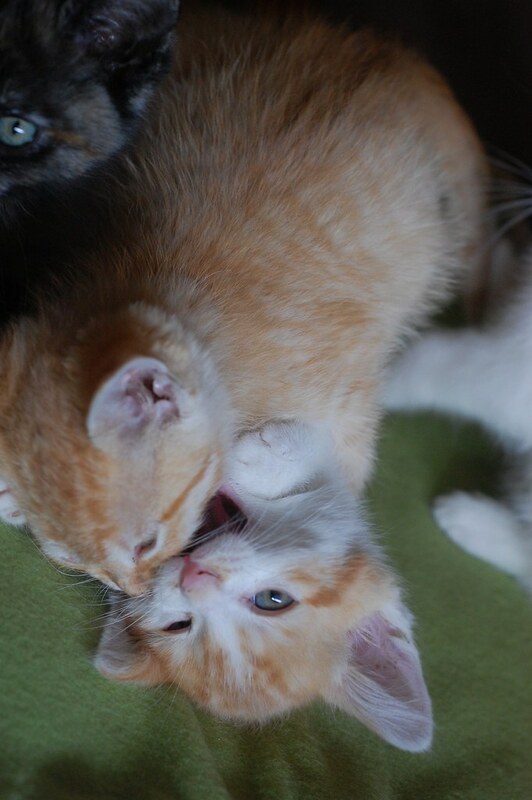 Perry knows better than to beat up on his sister. Impressive pictures. I'm not sure how to do that in low light without a flash and still get everything in focus! Our action shots over here tend to be super blurry :). It's Millie Ali! And Perry is down for the count! So much to love! I love that first picture, where they're obviously mid-fight but distracted by Momma Laurie. I love the sweet fuzzy kitten fur, and the random open mouths and little pink tongues. I love that Millie (or is it Milly?) 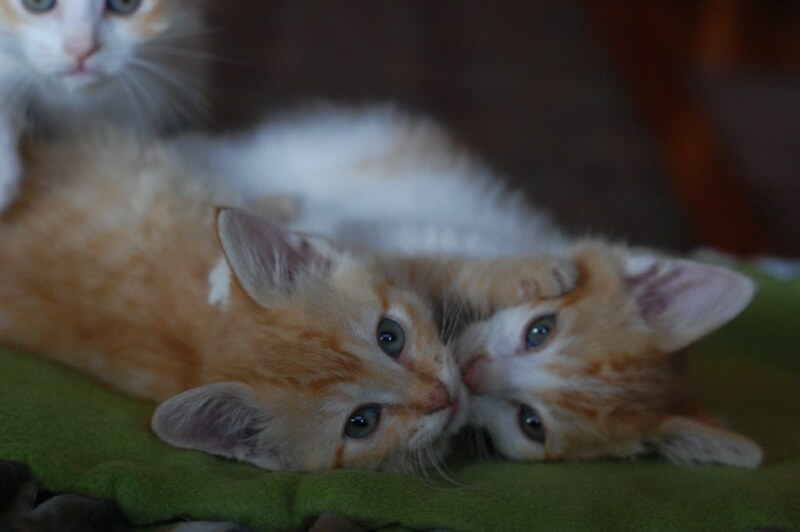 is the obvious dominant in these pics (or her "big" brother is being gentle with her, either is cute!). I love that in the last picture, Millie has the adorable folded-back "mad ears" of a determined little kitten that's jumped into the brawl! Perfect example of why we always say, "If you get two they can play together." Love all that wild mischief kitten energy. Oh they are so cute! 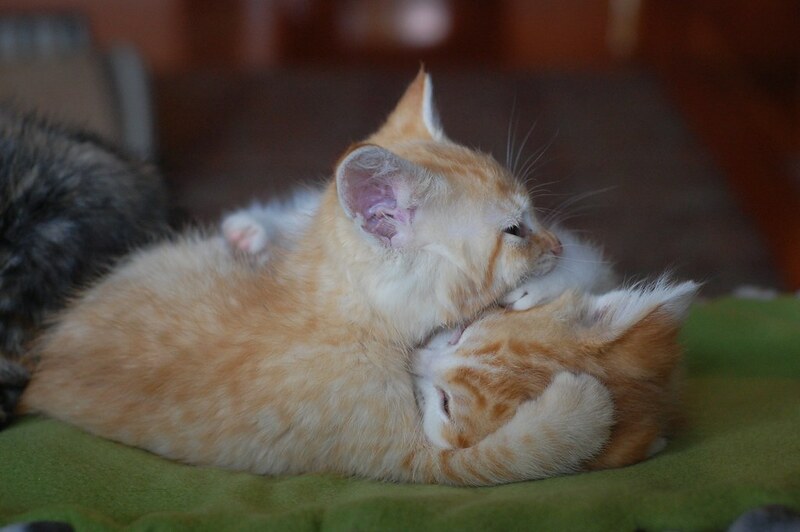 Kitten wrestling is one of the best forms of entertainment! WE LOVE YOU IBKC COMMUNITY! A HUGE THANKS TO OUR AWESOME DONORS! Thank you so much for caring so much and giving to support the Humane Society for Tacoma and Pierce County. Because of your huge hearts, we're making the difference in the lives of so many cat and kittens. Well done, Community. Well done! 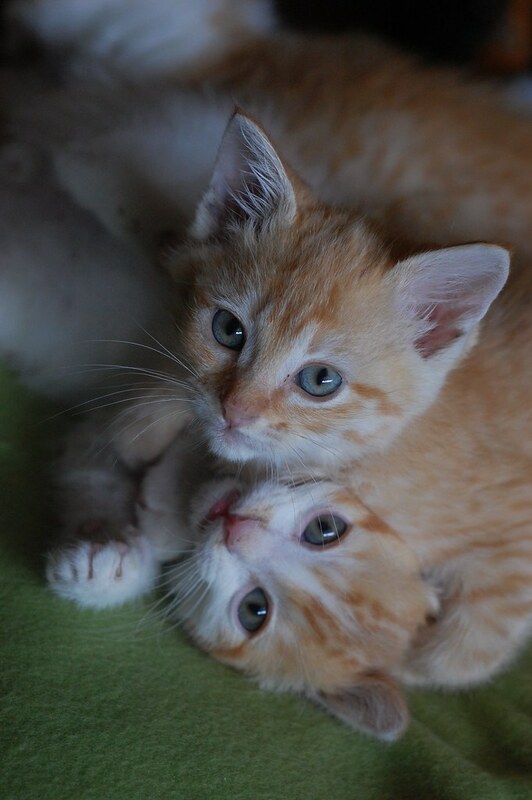 We're always on the hunt for good people in the Seattle or Tacoma area to adopt our fosters kittens. 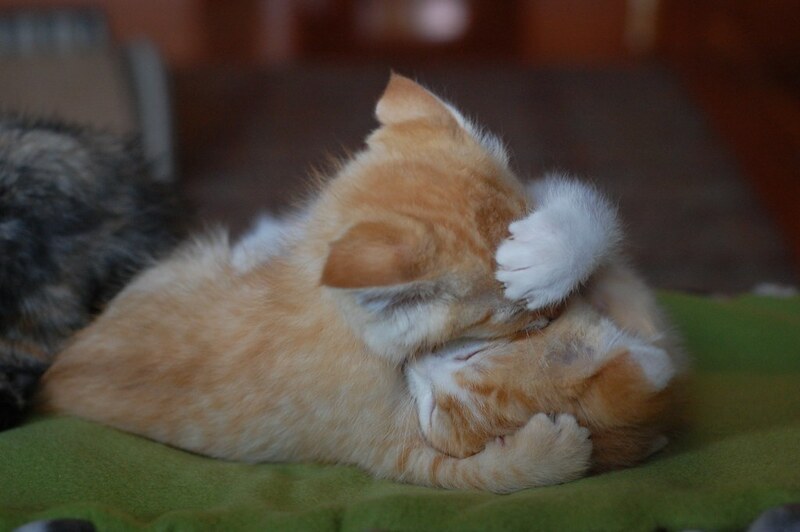 If you are thinking about adding a kitten or two to your life, drop us a line and tell us a little bit about yourself. Click here to email the IBKC ! The IBKC book is out! If you would like a signed copy, you can order one through our favorite local book store, King's Books. Just click on the tile above! Also available at Amazon, Barnes and Noble, or a bookseller near you! Thanks to everyone who voted! Peek behind the IBKC scenes on Instagram! 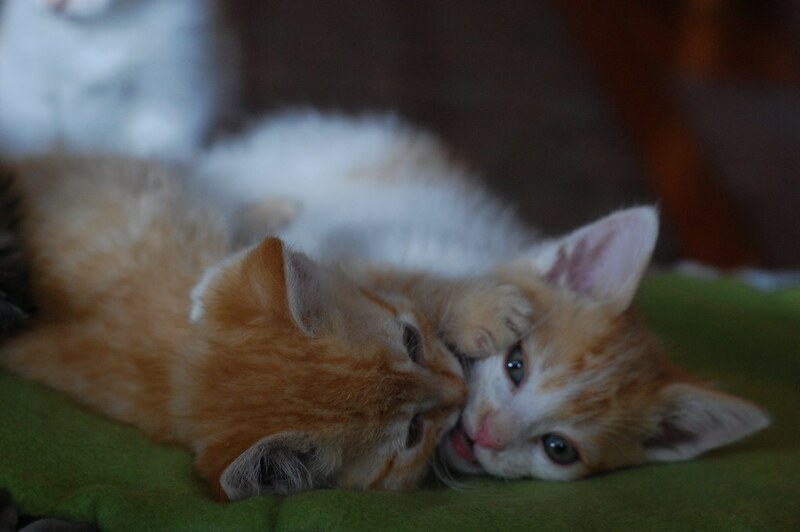 Kitty pics galore on Flickr! Keep up-to-date on the latest IBKC happenings on Facebook! Visit her page, and send her a request! Click here to send a message to the Itty Bitty Kitty Committee. All rights reserved. Please do not use my original photos or writing without first seeking permission. Thank you very much ! Thank you for scrolling all the way down to the bottom of the page.